Zondo said there were ‘many people in this country who get arrested, subject themselves to the legal system and get protection’. Former president Jacob Zuma’s son Duduzane yesterday failed to convince Deputy Chief Justice Raymond Zondo in his attempt to evade testifying before the Commission of Inquiry into State Capture. 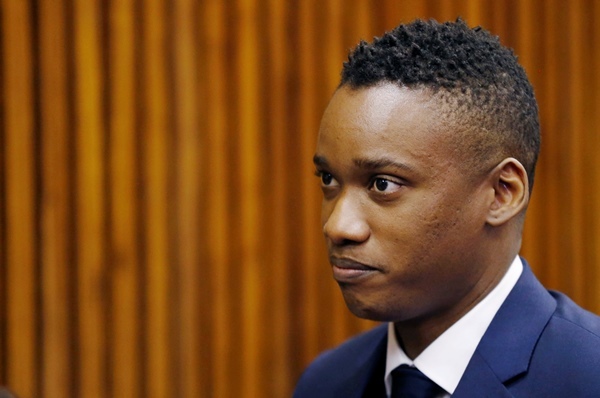 Senior counsel Dawie Joubert told the commission that Duduzane would not be able to give evidence before the inquiry “because of pending parallel criminal charges he is facing at the Commercial Crimes Court”. “I cannot understand that he will not give evidence because he faces criminal charges on the same issue. He has already given us his affidavit. If he could not have given us his version, it would have been different,” said Zondo. He said when Duduzane submitted his affidavit to the commission, he did not indicate he would not testify before the inquiry. “If he is subpoenaed to appear, he may reconsider his stance,” said Joubert. Joubert said Duduzane was “unfairly arrested” when he recently landed at OR Tambo International Airport upon arrival in South Africa. “We live in a constitutional state and we did not know why he was arrested,” argued Joubert, who also represents Rajesh Gupta. Zondo said there were “many people in this country who get arrested, subject themselves to the legal system and get protection”. “As a country, we cannot have a police service that is perfect. Hence, we have constitutional checks and balances,” added Zondo. Duduzane and the Guptas have applied for leave to cross-examine former deputy finance minister Mcebisi Jonas. Representing Jonas, senior counsel Alfred Cockrell yesterday submitted that his client should not be cross-examined by Duduzane, the Guptas and former cabinet minister Lynne Brown. “My client Mcebisi Jonas opposes any cross-examination by Duduzane, because he has indicated that he won’t testify before the commission,” said Cockrell. “We also oppose an application by Lynne Brown because she has not been implicated by Mr Jonas’ testimony.